Home/Academy/Akarana Sailing Academy kids sail a Young 88! 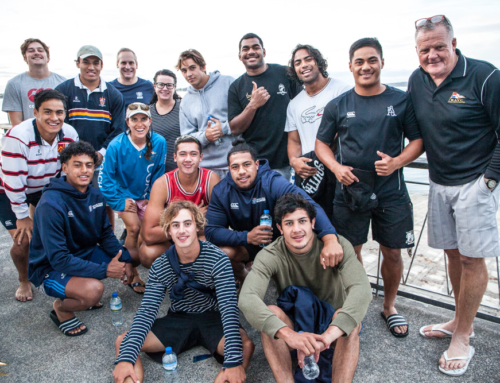 During the Royal Akarana Yacht Club‘s School Holiday Program, the lucky participants were treated to an awesome experience on board a Young 88. 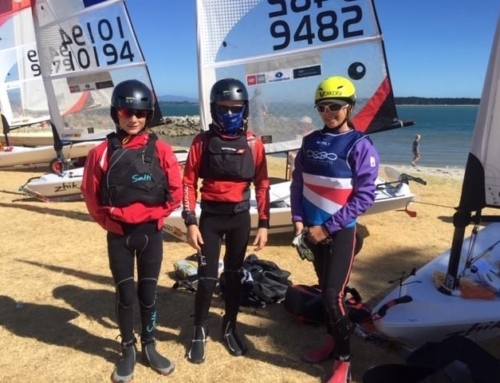 Will Leyland and Blake McWilliams were both completing their Opti Level 2 course when their Dad’s made an unexpected entrance on their co-owned Young 88. Mike Leyland and Paul McWilliams treated two groups of up-and-coming yachties to a blast up and down the harbour, kite included! It was a bit different to sailing in their Optimists and O’Pen Bics, having so many people on board a powerful keel-boat, and a couple of extra sails to worry about too! The on-board jobs were shared amongst the youngsters with each taking turns on the helm, or trimming the different sails. Either way, this is an absolutely brilliant way to introduce kids to the variety that our sport provides, and treat them to an experience they won’t soon forget! And even the parents had a blast!